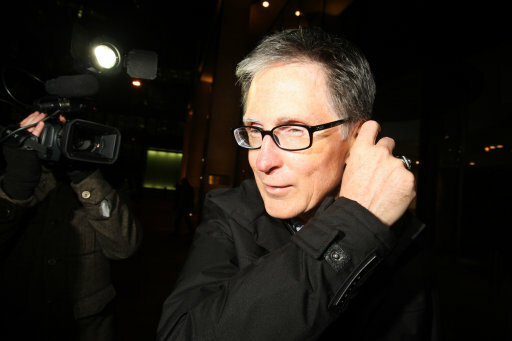 Liverpool’s new owners NESV have effectively ruled out making any big-name signings during the January transfer window after voicing their concern over the £million’s that the club has hemorrhaged in transfer fees and wages over the past few years. Although NESV’s takeover has freed up the £36 million that was being payed monthly to service the former owner’s debt, the American franchise are keen to invest their money more cautiously than their predecessors, with former manager Rafa Benitez allowed to spluff £230 million during his six-year tenure and his replacement, Roy Hodgson, given £25 million to fritter away during his few months in charge. It is uncertain just how much money NESV will make available for Hodgson during January but, by God, does he need every penny – as ‘players that don’t make long-term sense’ seems to adequately sum up the majority of Liverpool’s current squad. I’d take Danny Murphy back in a second! @Gaptooth, After the tripe that Rafa consistently brought in during his time, I think you owe Hodgson a little bit of faith in terms of transfers. After all… Danny Murphy vs Lucas Leiva?…. Really wish we had Peter Lim instead of NESV, he ha promised £40million for transfers in January alone and it would have been his own money not money from the banks. I’m prepared to give NESV a chance but I don’t think they understand the amount of investment that top clubs in England need to succeed as I know is very different in Baseball where you pick from a roster. We are in desperate need of another top, top striker, a left back and a defensive midfielder. Poulsen doens’t look comfortable in the premiership, Merieles is an attacking midfielder as are, Shelvey, Cole, Maxi, Babel and Lucas (even though he has been played out of position at defensive midfield to little effect) and Gerrard is far too important going forward to waste him in defensive midfield. the last thing we need is another attacking midfielder/winger. has anyone who strenghtens the squad to be expensive? better to buy players who will have great names than someone who has already got one. could be a step into the right direction. Does any Liverpool fan truly believe that 40M in new player signings will get them out of this funk? I think most would agree they have the tools to do the work, but the work isn’t being done. You need Torres to regain his form(free) and a decent left back(8-12M range) and you should at least compete. No matter who they want to buy, it’s going to feel like a year until January rolls around.